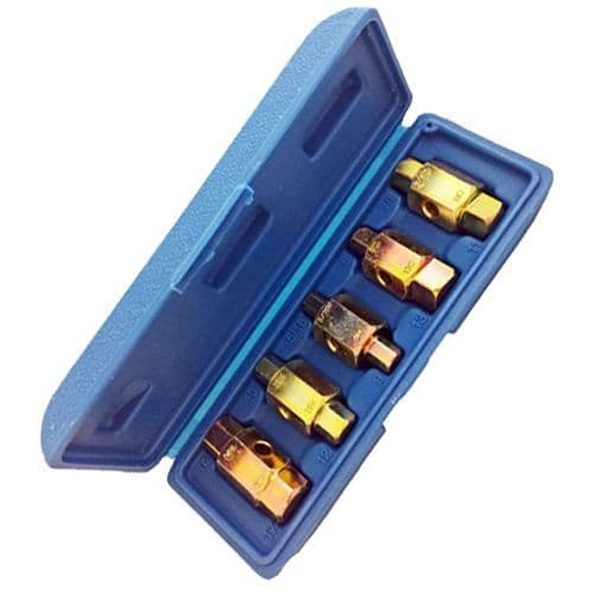 A comprehensive set of 5 sump oil drain plug keys from Toolzone Tools. These are easy to use sump plugs either with a spanner, socket or a tommy bar as each double ended bit has a hole through the middle. Made from heat treated steel and zinc plated for long life in service.